Pinterest burst onto the scene in 2010, forever changing the way we use social media. This image-driven social media platform – much like a digital bulletin board – was a welcome change to primarily text-driven sites, such as Twitter and Facebook. And business quickly flocked to Pinterest for that very reason. Businesses can take pictures of anything, from anywhere, and “pin” those images to a board to showcase their products and services in a much more aesthetically pleasing way than Facebook. Users (customer) can then interact with these photos, like them or share (re-pin) them. Visual marketing is the current trend! Today, Pinterest is valued at over $11 billion and rising. In fact, Pinterest recorded the biggest year-to-year percentage rise (97%) in active users of every major social network in 2014, according to GlobalWebIndex. Tumblr came in second with 95%, followed by Instagram (47%), LinkedIn (38%) and YouTube (13%). And just in case you thought Pinterest might slow down, the company recently announced that it would open Promoted Pins to all advertisers in 2015. Just like Facebook, Pinterest has thrown its hat into the paid advertising ring with its Promoted Pins. Essentially, Pinterest will allow users to pay to gain more exposure on its site by drawing attention to certain pins (images). The idea is that promoted pins will help businesses gain exposure to people who do not currently follow their business. In layman’s terms, Promoted Pins are a form of paid Pinterest advertising. Promoted Pins allow marketers and businesses to strategically target certain locations and demographics to ensure the content reaches its desired audience. Each campaign has a specified daily budget and duration. Promoted Pins run on a cost-per-click (CPC) basis. Promoted pins are re-pinned an average of 11 times. Promoted Pins continued to get 5% more pins in the month following a campaign. Promoted Pins allow users to track every aspect of the campaign to see what’s working and what’s not so that marketers can make changes to maximize pin performance. Pinterest shoppers spend more, averaging between $140 and $180 per order compared to $80 for Facebook and $60 for Twitter. Are You Fully Taking Advantage of Pinterest? 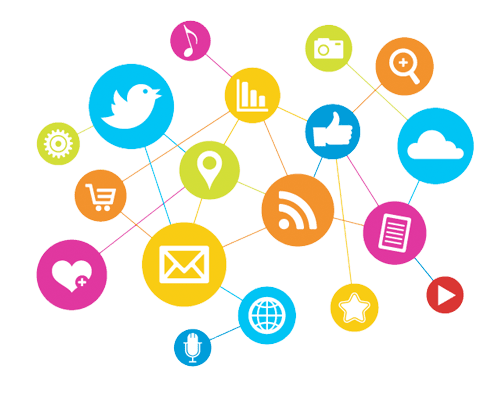 Adventure Web Interactive will develop and maintain a custom social media campaign for you that includes Twitter, Facebook, Google+, Pinterest, LinkedIn, YouTube, and more. Our campaigns also include a custom-skinned blog and weekly blog posts, all in an effort to increase brand awareness and, most importantly, SEO. Call now for a free Social Media evaluation and continue to check back each and every week for more fun and exciting news from the world of social media marketing. Call now for a free Social Media evaluation. If you have any questions about Promoted Pins or Social Media Marketing, please contact Adventure Web Interactive by calling (410)-788-7007 or by clicking here today! For more information about web development, contact Adventure Web Productions now!